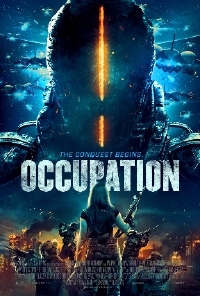 Saban Films have released a new trailer and poster for their upcoming release of alien invasion film Occupation. The film is written and directed by Luke Sparke. It stars Dan Ewing, Temuera Morrison, Stephany Jacobsen, Rhiannon Fish, Zachary Garred, Izzy Stevens, Charles Terrier, Charles Mesure, Trystan Go, Felix Williamson, Jacqueline McKenzie, Aaron Jeffery, and Bruce Spence.